Everyone is doing their take on the Holiday celebration. While Lexus ties giant red bows on IS sedans, the German car companies are celebrating the holidays in a variety of ways. Volkswagen had some fun with their Facebook fans asking them to share their favorite VW-Themed Holiday photo. BMW is having fun featuring the new M5 that is on its way to the US soon. 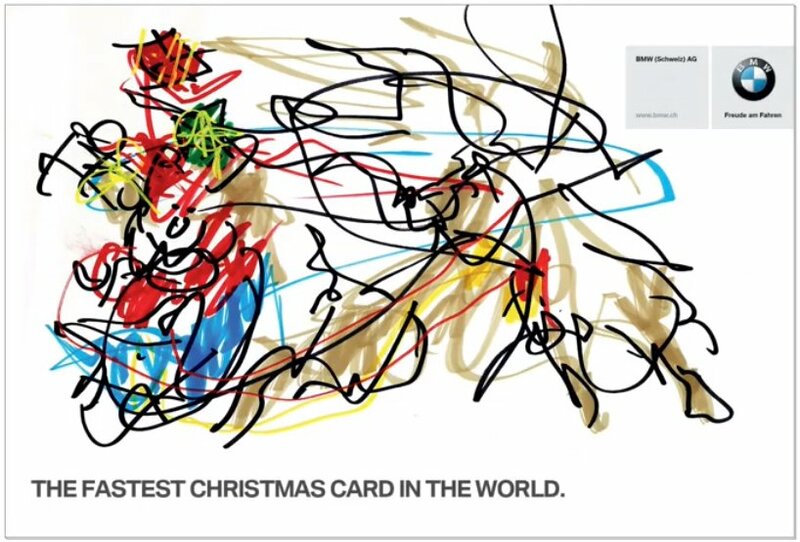 They decided to create "The Fastest Christmas Card in the World" where they sit an illustrator next to performance driver Urs Inauen, or "swiss stuntman" as his website refers to him. 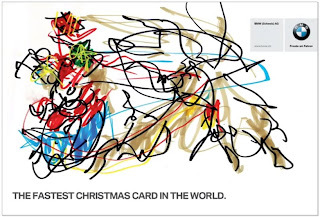 The ad is a great example of appealing to your target audience with some custom web content. It's a simple idea: new M5 + race track + holiday = a ridiculous mess. Mercedes-Benz created a 17 red car salute celebrating Christmas in their latest ad with an all red display for the holiday. Unfortunately, they don't make a red G550 so they shared the red peel coat paint job the marketing team needed to complete the red lineup. The video shows the excitement that goes into painting a SUV. If you don't have time to watch the video just imagine 10 seconds of Pimp My Ride without 40 speakers and gobs of fiberglass. Audi decided to mock holiday tradition this year with its ad featuring boomer parents taking their son's new Audi A6 for a joy ride right as he arrives home. It's a bit dull and lacks some of the fun of recent Audi ads, but this critique seems a bit harsh though I do get the blogger's point. Christmas is about family, not superficial opulence. It is a luxury car ad so opulence is expected. 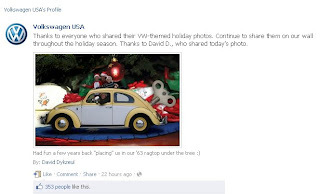 What are some of your favorite holiday ads from the automotive industry, past or present?